Sometimes I get onto a theme and I just can’t stop myself. Have you noticed? 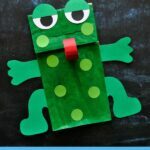 In this case, it’s paper bag crafts. I might have an obsession with them, but can you blame me?…They are just so gosh darn fun! 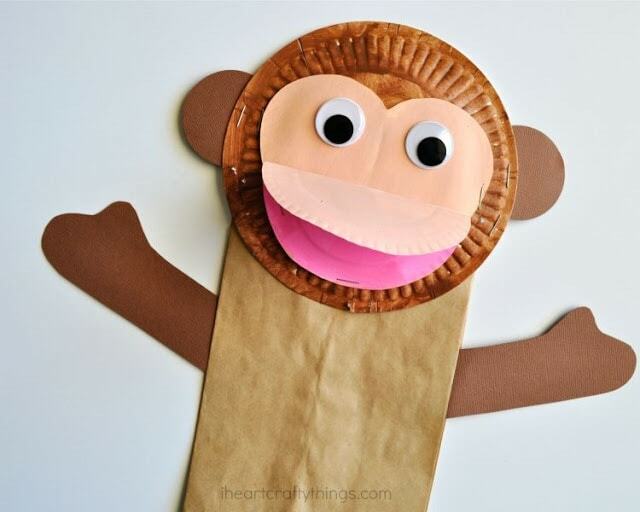 The idea for this darling Paper Bag Monkey Craft I’m sharing today came from a gal I have loved following on Instagram called _appleofmyeye_. 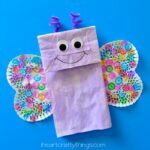 With her permission I recreated this fun kids craft and am sharing how to make it with you today. 1. Get out your small paper plates. Fold one in half and cut around the outside edge making a smaller half circle for the monkey mouth. Fold another paper plate in half and cut a heart shape out of it for the face. 2. Paint one whole paper plate brown, the heart shape tan, and the smaller circle pink on the inside of the plate, and tan on one half of the outside. Set them aside to dry completely. 3. 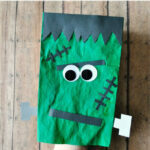 While your paint dries, cut two ears and two arms out of your brown cardstock paper. 4. Glue the heart shape onto your monkey face. Then staple the folded mouth onto the monkey face. 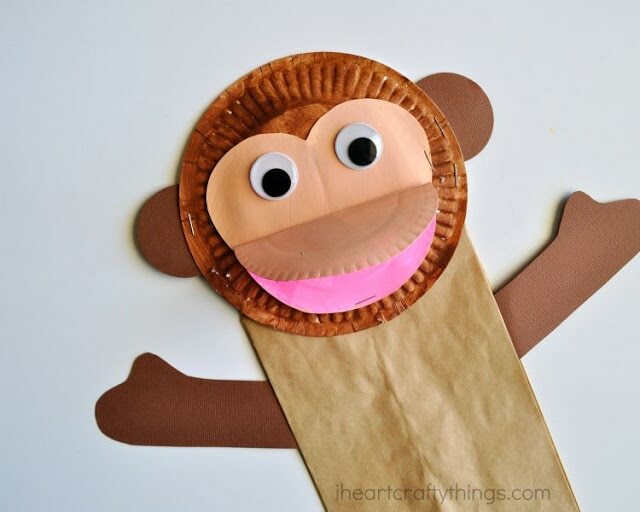 Now staple the monkey face onto the bottom of the paper bag. 5. 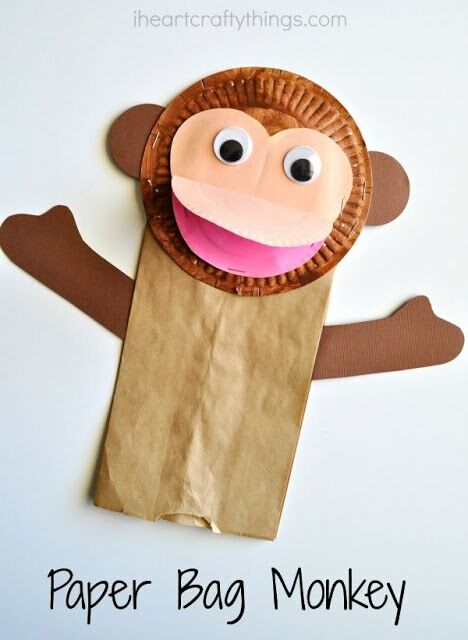 Finish your monkey by gluing on your ears, arms and googly eyes. 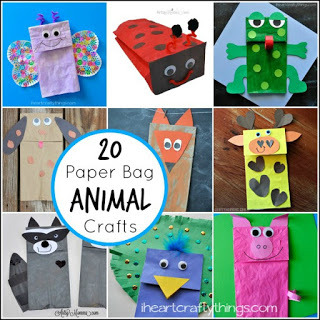 You might also enjoy these other 20 Paper Bag Animal Crafts!